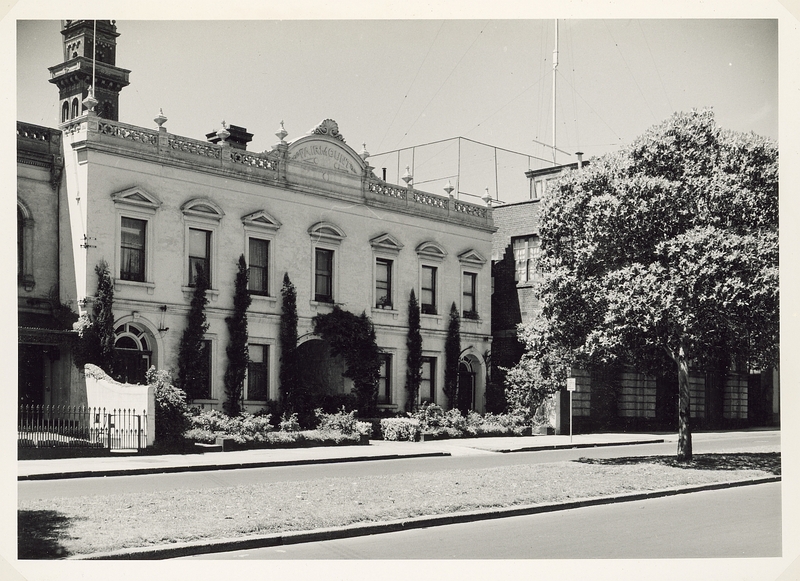 Houses in Albert Street, [East Melbourne, Vic.] [picture]. • Description: 2 photographic prints on cardboard mount : gelatin silver ; 12 x 17 cm. and smaller, album page 24 x 36 cm. Title inscribed in blue ink on label pasted to album page. 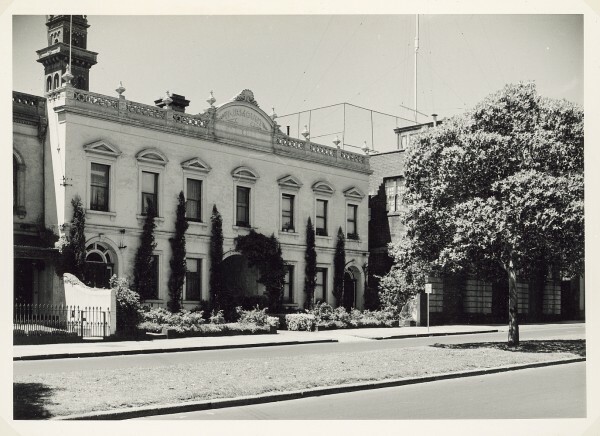 • Contents / Summary: Looking across street towards double storey facade with pedimented windows, balustrade along roof with pediment containing the word "Fairmount" -- Looking across intersection towards double storey building with upper verandah with wrought iron balcony rail, railing fence in front. • Source / Donor: Purchased; 2009.